MARTHA MOMENTS: Maha Malluh's "Food For Thought"
Maha Malluh's "Food For Thought"
On a recent blog post at TheMarthaBlog.com, Martha showcased a photo of herself standing in front of an art installation at the newly-opened United Arab Emirates Louvre Abu Dhabi gallery in Dubai. 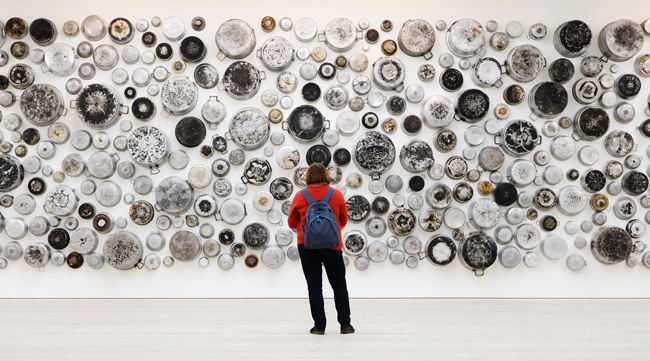 The installation is a grouping of enormous aluminum pots with their charred and crackled bottoms facing outward to reveal a beautiful tapestry of texture and pattern. 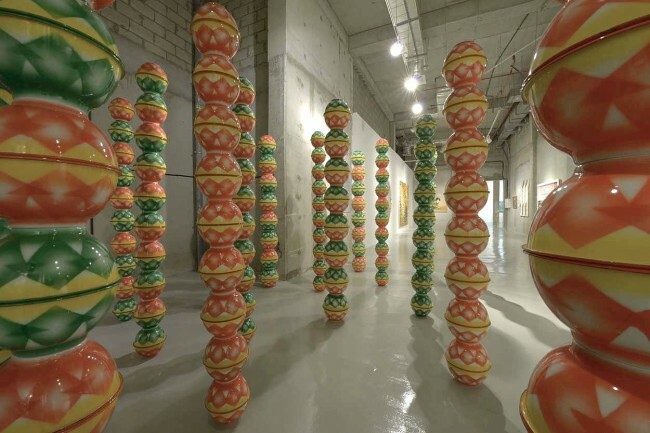 They are part of a larger series of work by Saudi artist Maha Malluh called "Food For Thought - Al Muallaqat". 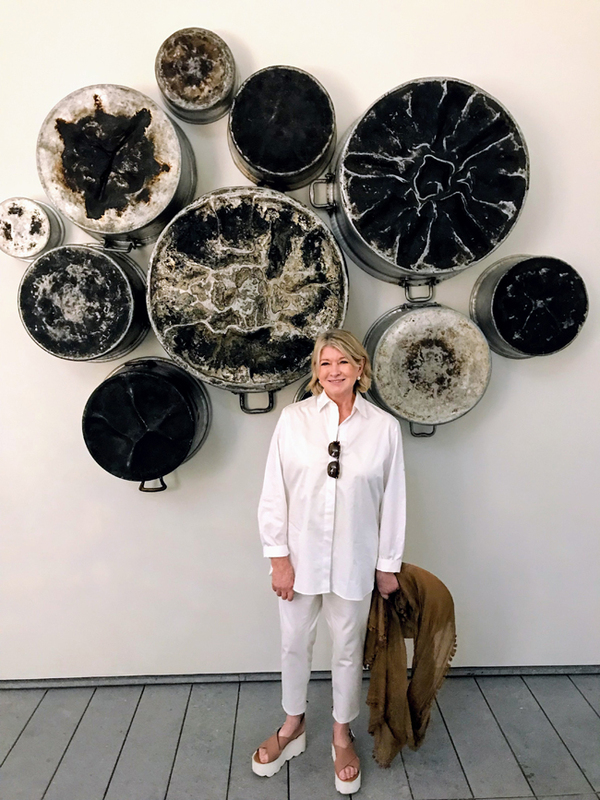 I was really struck by the odd beauty of these pots and the creative thinking behind the concept so I decided to learn a bit more about the artist and share more images from the exhibit here on Martha Moments. The grouping of pots Martha is standing in front of is part of a larger, untitled installation featuring an entire wall of these pots. 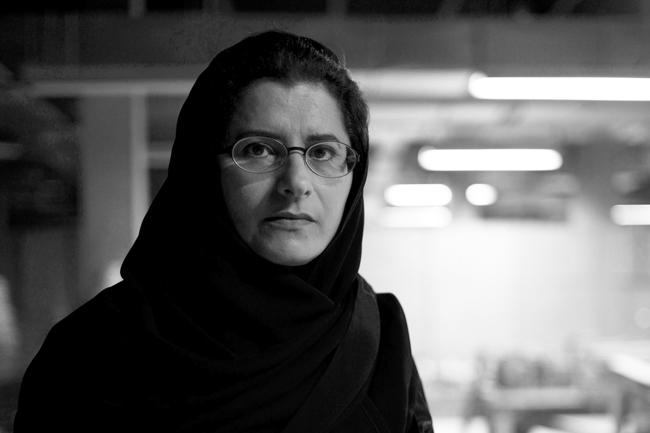 The artist, Maha Malluh, shown above, was born in Saudi Arabia in 1959. It is where she lives and works. Most of her work is comprised of found objects that she re-purposes and reinvents into large-scale installations that speak to a larger theme or topic. The purpose of much of her work, she says, is to challenge the viewer to pause and think more deeply about the world that surrounds them and to see ordinary objects in new and unexpected ways. "I am interested in the systems of value awarded to material objects in our contemporary culture," she says. "I like to work with objects that are going to disappear from our life, in order to preserve our identity and our cultural memory." 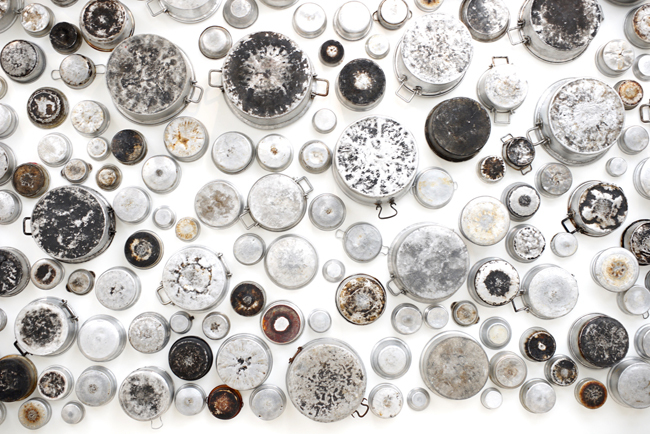 In her Food For Thought collection, Malluh explores the beauty of everyday cookware by grouping pieces into mass installations, as she did with the aluminum pots. 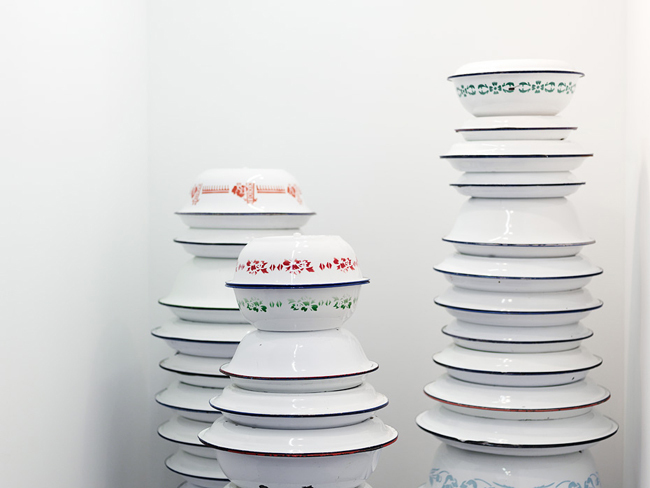 For this exhibit she also created enormous columns of bowls and serving dishes by fusing them together into towering pedestals. To read an interview with Malluh and learn more about the symbolism and intent behind the work, click here.